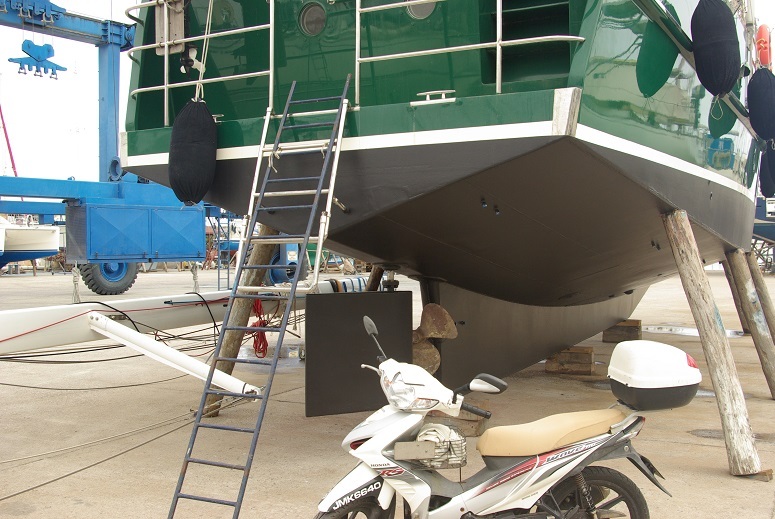 Also antifouling work has been done and finished today. Large areas of the bottom needed several layers of epoxy before priming(areas with bare metal). After discussions with other DD owners I chose Jotun Seaforce 90, a selfpolishing paint that has been applied in two layers. 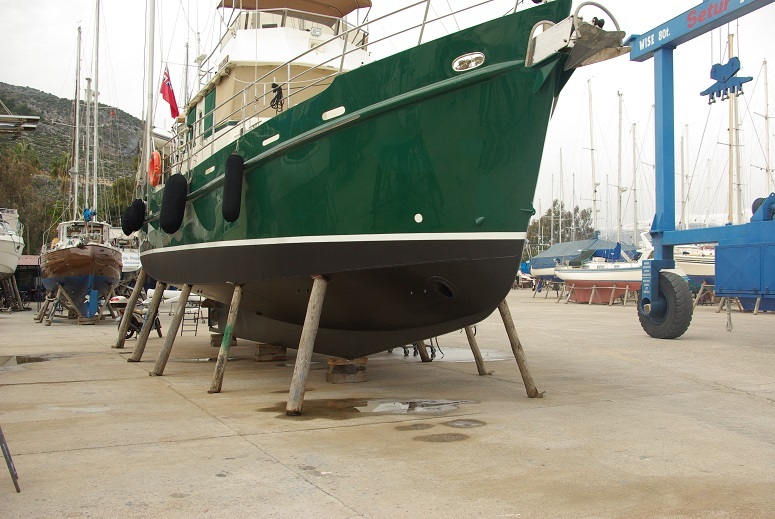 It seems as if otherf DD owners have good experience with this paint, allthough it´s made for boats regularly moving. Some day I would like to try a hard copperbased paint allthough that would require removal of all old paint.